This could be the best accommodation in Caloundra for families you’ll find. 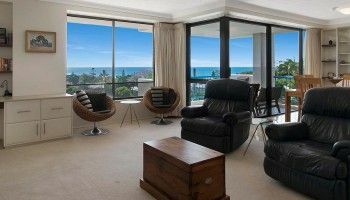 It’s certainly one of the best value for money holiday apartments in Caloundra. 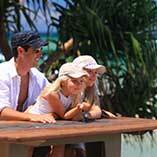 Burgess @ Kings Beach is the quintessential destination for family holidays on the Sunshine Coast. There’s plenty of space for everyone in our fully self contained apartments. Most of them are three bedroom apartments that accommodate up to six people. Perfect for families and large groups. For smaller groups we have some two bedroom apartments. It’s not just the generous Caloundra accommodation that will make your Sunshine Coast holiday an enjoyable one, the resort facilities are also superb. The poolside BBQ will bring your family together in the evening, while the sun loungers make the pool area a great place to relax with a book. To really relax after a hard day at the beach, there is also a spa pool beside the pool too, not to mention the sauna and tennis court. You can hire racquets and balls at the office if you didn’t bring your own. Access to the beach side amenities is also very convenient. 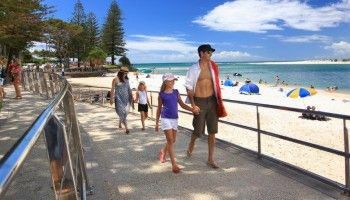 Yet another reason why families find this part of Caloundra such an attractive option. 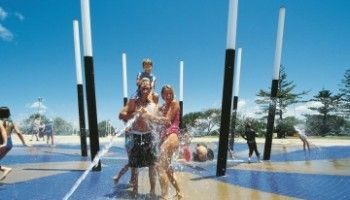 The parks stretching out around the nearby beaches include Lions Park, Centaur Park and Anzac Park provide lots of outdoor space to explore and play. 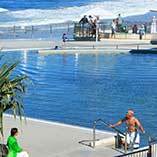 Not to mention the Kings Beach Water Pools. There is a lap pool for serious swimmers and a kids pool and play area too. The geyser style water feature in the play area is a favorite amongst families. Also nearby is the Kings Beach Amphitheatre which is a great outdoor venue. Over the summer it plays host to a number of free family concerts. Don’t forget Kings Beach is a lovely sheltered beach that is fully surf patrolled. Another good reason to make Burgess @ Kings Beach your holiday accommodation pick. 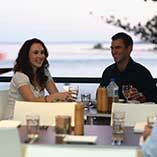 This could be the best accommodation in Caloundra for families. Book now.